Ultimate Ears, which is Logitech’s audio electronics subsidiary is well known for its premium wireless speakers which are also water resistant. Its latest offering the Ultimate Ears Megaboom has arrived in India and it costs Rs. 19,995. As the name suggests the Ultimate Ears Megaboom is the larger variant of the UE Boom 2 which costs around sixteen thousand rupees. If you have paid close attention you will know that the UE Boom series is well known for its sound quality and the Ultimate Ears Megaboom takes it a step further. 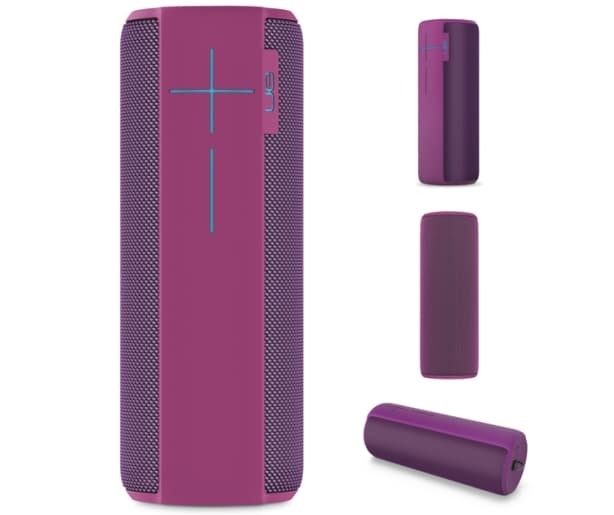 The Ultimate Ears Megaboom is a 360 degree wireless Bluetooth speaker that can fill any room with sound. Just like any UE speakers this one can be easily identified by its massive volume plus and minus buttons. Inside the Ultimate Ears Megaboom we have two 2-inch drivers and two 2 by 4inch passive radiators. While the company will not specify the capacity of the battery inside the Ultimate Ears Megaboom they are pleased to quote the stand-by and recharge times. The Ultimate Ears Megaboom takes 2.5hours to charge fully and once it’s fully charged it can last for up to 20 hours. The Ultimate Ears Megaboom battery is user replaceable which makes it one of a kind. Normally, most Bluetooth speakers have an embedded battery which means it becomes pretty useless once the battery has run its course. On the Ultimate Ears Megaboom however you can keep it performing for a long time simply by replacing a new battery. By using the UE app you can map up to 8 devices with a single Ultimate Ears Megaboom speaker. Just like most UE products you can stream audio to two Ultimate Ears Megaboom speakers from a single smartphone. For easier pairing you can use the NFC connectivity option as well. The Ultimate Ears Megaboom has a Bluetooth range of 100 feet. If you have a non Bluetooth enabled device such as an iPod Shuffle you can use the 3.5mm jack to hook it to the Ultimate Ears Megaboom. 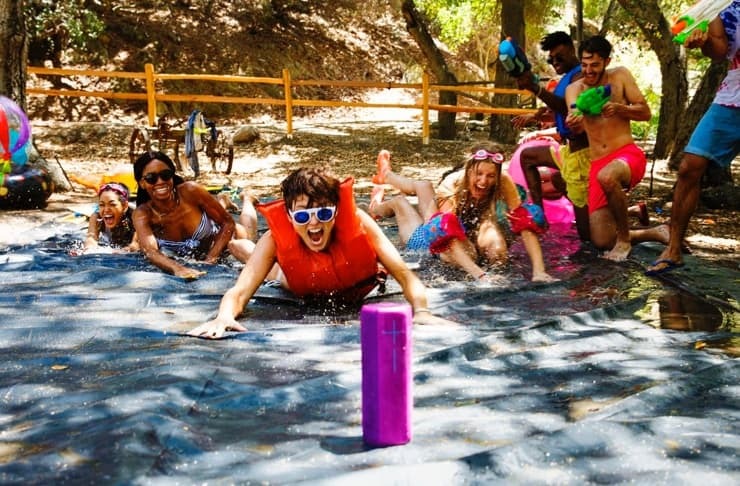 A prominent selling point of the Ultimate Ears Megaboom is its water resistant capabilities. While most speakers are splash proof which means they can withstand light drizzle, the Ultimate Ears Megaboom is completely water resistant which means it can be immersed into water of 1 meter for up to 30 minutes and it will be fine. The Ultimate Ears Megaboom is available online on Amazon India and offline in retail stores for Rs. 19,995. The Ultimate Ears Megaboom can be bought in Plum, Charcoal Black, Lava Red and Electric Blue colour variants. There were times when I was actually considering buying the UE Boom. However, I settled with the BOSE; which is an awesome speaker. After using BOSE and AudioEngine speakers, I can confirm that the BOSE are bit bassy. If you love the BASS, Bose are your best friends. I had listened to the UE BOOM only once and it was impressive. UE's done a good job with their boom lineup. Anyone used Xiaomi speakers? How do they compare?